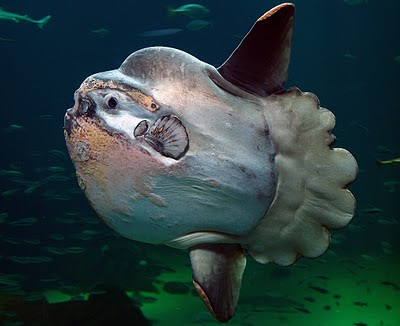 The Mola Mola Fish or Ocean Sun Fish is the largest bony fish in the world, weighing in at 1 ton or 2,200lbs! The largest Mola Mola ever found was a mammoth 6000lbs! These fish can grow to 11' long and are normally almost as long as they are tall. During reproduction the female Mola Mola can produce as many as 300 million eggs at a time! This is more than any other known vertebrate in the world. To see the Mola Mola fish in action click here! even wen it luks humongous, its so graceful.